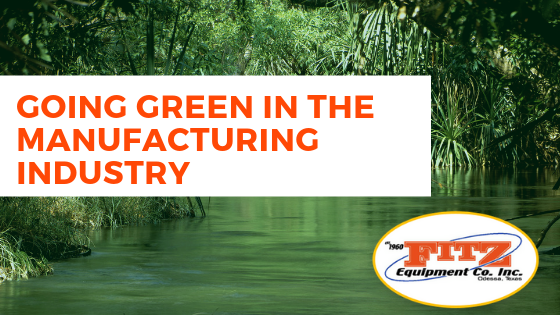 The manufacturing industry doesn’t get much coverage in the news when it comes to going green, but the reality is that the industry has been adopting sustainable practices for years. Several different factors are contributing to the shift towards green manufacturing. Some manufacturers are motivated by environmentalism, but many more are choosing to go green because it can help their bottom line. Green manufacturing processes can make a product much more appealing to environmentally-conscious consumers. It can also save money, since recycling and reducing energy use can cut down on a factory’s expenses. Almost every business owner is easy to go green when it has the potential to save them money, so they have found a lot of different ways to do it. Mechanization is at the core of most modern manufacturing. Most machines can last a long time with proper maintenance, but they can’t last forever. They eventually need to be replaced, and that replacement offers a chance for manufacturers to save money and help the environment at the same time. Rebuilt machines offer an alternative to entirely new models. Devices such as rebuilt air compressors offer performance that is on par with new machines, but they can reuse older parts. Recycling a component means saving the energy and materials that would have been used to fabricate a new one, and in the long run that can be a big help for the environment. When most people think about going green, they think in terms of renewable energy. Conventional energy generation is a major polluter, so choosing green energy can help the environment. It can also save money in many environments, which makes it all the more appealing to business owners. Factories that use a lot of energy often install solar panels on and around their building to reduce their energy bill to a manageable level. Some factories manage to meet all of their energy needs through solar panels, but most of them still draw some power from the grid. Harvesting even a small portion of a factory’s energy from the sun can save a lot of fossil fuels over the long term, so a small set of solar panels can be much better for the environment than it might seem at first glance. Factories that can’t generate green energy due to their location can still cut down on their energy use. While manufacturing equipment often consumes a great deal of electricity, many factories use just as much for climate control. Green building techniques can reduce that part of the energy bill. Something as simple as installing energy-efficient windows can cut down on heating and cooling costs by 10%, and passive solar systems can sometimes eliminate the cost entirely. New facilities are much more likely to take advantage of these techniques than old ones because it’s easier to build a factory with them in mind than to refit an old building, but older buildings can benefit from some of them. Manufacturing often involves some waste, but modern processes are allowing manufacturers to reduce it. 3D printing is among the most notable of these processes. Older processes relied on cutting and grinding materials to get the right shape, which wasted some scraps. 3D printing replaces the cutting with a building process that wastes nothing. The technology is still new, so it can’t handle everything yet, but it’s likely to improve over time. Given that it allows manufacturers to reduce their material costs, it’s sure to get adopted by anyone who can use it. Plenty of manufacturers care about the environment, but simple self-interest is enough to make the rest want to go green. Even an act that seems small, like choosing rebuilt air compressors instead of new ones, can contribute. All of those little acts add up, so those small changes are enough to ensure that the manufacturing industry does its part. If you are looking for more information on how to save your current air compressor utilizing air compressor parts or are looking for rebuilt air compressors contact us today and request a quote!